Despite ESG pledges – major European institutional investors, including NN Group, Allianz and Aviva continue to invest in coal producers in Poland through their third-party business. The European coal mining industry is in decline due to its harmful effects on air pollution and global warming. Poland continues to represent a notable exception, it continues to be the biggest coal producer in Europe. With more than 90% of Polish energy consumption dependent on coal production, three more coal-fired power plants are expected to start operating by 2019, despite the industry being blamed for some 5830 premature deaths each year, according to WWF data. These growth plans are dependent on the support of European asset managers, which count Polish pension funds as their subsidiaries. While groups such as Allianz, NN, Aviva or AXA have publicly signed up to an SRI strategy which commits to reducing the effects of climate change, they continue to remain invested in coal factories through their third party assets. Research conducted by campaign group Unfriend Coal reveals that six European insurers collectively own more than €1.3bn of shares in Coal Companies. NN Group currently tops the list, with €493m invested in Polish Coal Factories, followed by Aviva UK (€421m), PZU (€304m) and Aegon (€162m). “Privately managed pension funds currently own over 10% of the capitalisation of the Polish stock exchange and 14% of the free float. That number was respectively 20% and 41% for Polish companies listed on the Polish stock exchange. Through these Pension funds, European insurers hold a significant stake in coal. NN Group is by far the biggest privately managed pension fund in Poland and it alone holds over 25% of all assets of Polish coal companies owned by all the privately managed pension funds in Poland” comments Kuba Gogolewski, project coordinator at the Foundation Development YES – Open-Pit Mines NO. “This is definitely a massive loophole. European consumers are increasingly aware of SRI criteria and their choices are partially on the basis of how sustainable financial services providers are, but too often third party investments are not factored in. Tracking third party assets is relatively new and complicated. In the case of Poland, privately managed pension funds are obliged to publish their portfolios which is why we are able to access the exact numbers. While third party assets in Poland are tiny compared to the overall third party assets managed by these insurance groups, the potential reputational consequences are very serious. There needs to be a lot of thinking in the financial industry” Gogolewski adds. NN Group stressed that its asset magement division, NN Investment Partners has been pro-actively engaging on climate risks with 20 large companies in the power utility sector, in a bid to encourage companies to achieve a long-term carbon risk exposure reduction and improved competitiveness in a lower-carbon economy. “Concerning the investments in Polish companies, most of these are managed by our pension fund company in Poland, Nationale-Nederlanden PTE, which operates within the second pillar of the Polish pension system. These assets are neither owned by NN, nor are they on the balance sheet of NN. NN Open Pension Fund is a separate legal entity operating under the Polish law. Because of this legal and financial structure, NN Group cannot influence nor comment on their investment strategy” NN Group said. While Allianz holds only a relatively small stake of €38m through its pension fund subsidary, it’s case is particularly striking since the group pledged in 2015 to divest from all coal based equities will immediate effect and to phase out any corporate bonds from coal producers once they mature. However, data released by Polish pension funds reveal that the Polish Allianz Pension fund has increased its stake in coal producer Famur by 1.51% between 2016 and 2017. 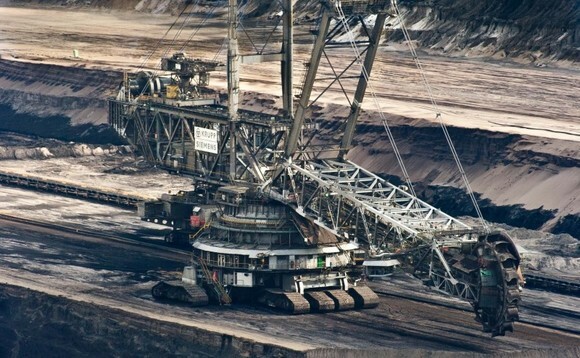 A spokesperson for Allianz confirmed the Group’s commitment to divestments from coal and stressed that “with respect to our asset management activities on behalf of third party clients, our asset management subsidiaries, Allianz GI and PIMCO are also applying ESG criteria but also factor in the demands and values of their respective clients.” By the end of 2016, Allianz managed €1.3trn in third party assets. Besides its investments, Allianz also acts as one of the underwriters of coal-fuelled power plants, alongside Munich Re and Generali. “The involvement of Allianz, Munich Re and Generali is highly paradoxical since Germany and Italy are the two countries outside Poland with the highest numbers of premature deaths caused by Polish coal plants, 620 and 430 deaths respectively” the Unfriend Coal Report states. Yet pressure is mounting, as the recent $20bn (€16.21bn) coal divestment by 15 European insurers suggests. Moreover, AXA, SCOR, Swiss Re and Zurich have now pledged to stop their underwriting activities in coal projects, as Unfriend Coal revealed. With the next COP24 summit to be held in the Polish town of Katowice later this year, European insurers may face growing pressures to reconsider their support of the Polish coal industry.